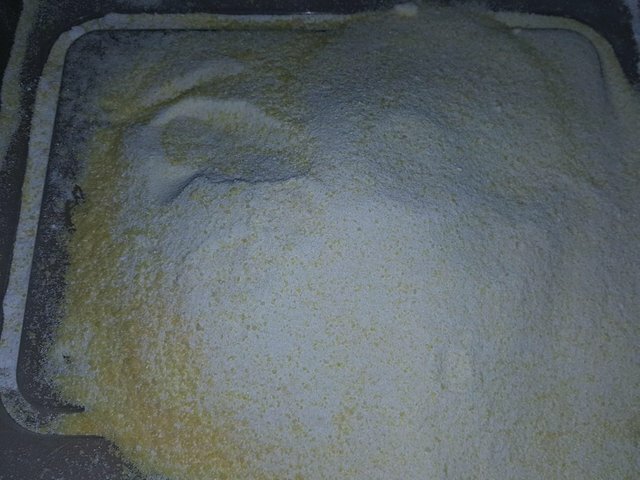 I got interested in learning about making my own laundry soap when I developed a rash after switching to a new popular brand of laundry detergent. The more I read about phosphates and the chemicals in these detergents, the more I see the damage they are doing to our environment and to our bodies. Also they are expensive when compared to buying safer environmentally friendly ingredients and making your own version. 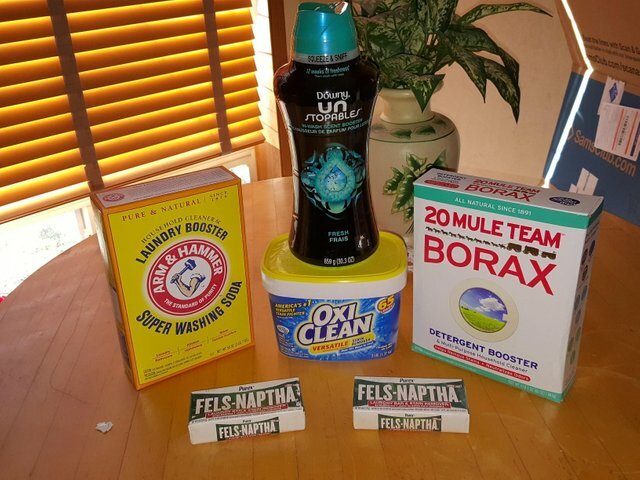 I found this recipe by googling "homemade laundry soap" and I bought these ingredients and set to work. 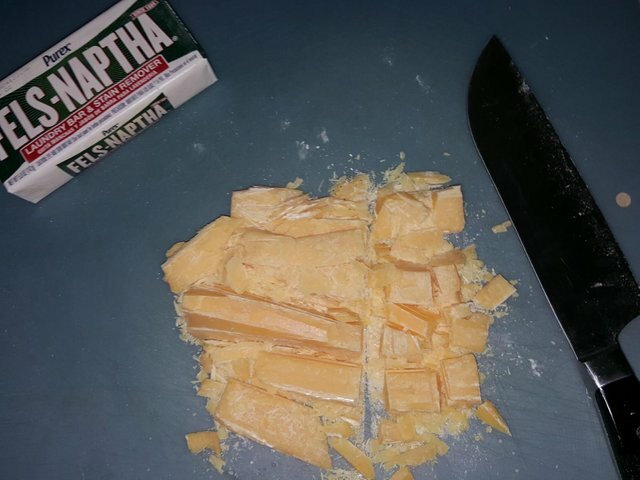 First step is to take the hard bar soap and cut into chunks. 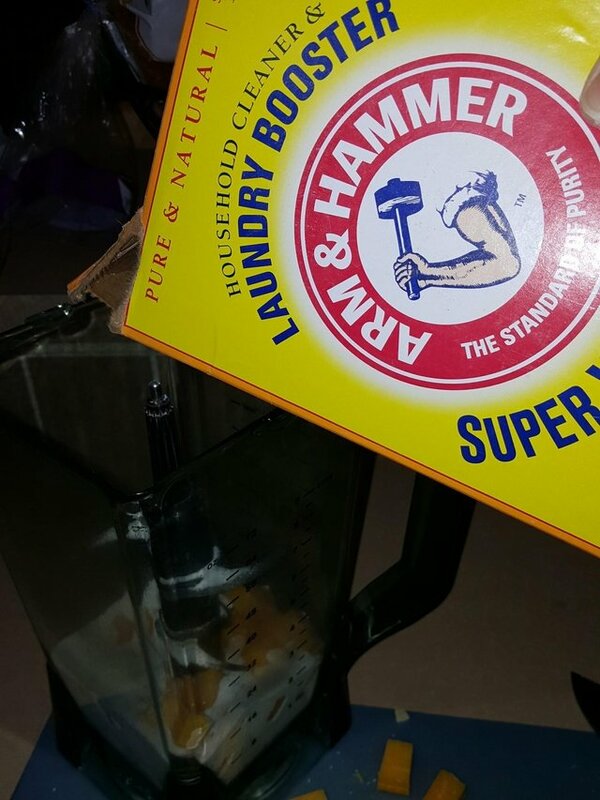 Then add the half the chunks to your food processor and pour in about a fourth of the box of washing powder. You then add the rest of the ingredients and use a large wooden spoon to blend everything together. 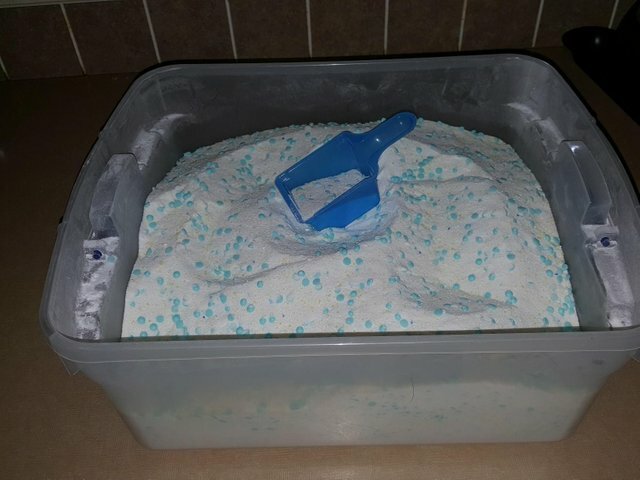 Store in a container with a lid, and it only takes 1/2 scoop for a large load of laundry. The entire amount of ingredients was less than $30 and it will last at least a year for me. It is also suitable for the newer HE washers because of the low sudsing factor. One large container of Tide's Free & Gentle does 64 loads and costs $22. And the only claim it has to "free and gentle" is that it has no perfumes or dyes. Woo Hoo, thank you, Tide! And you can omit the Downy Unstoppables and use some natural scented oils like lavender instead. That's one thing that's great about making your own, you get to choose your ingredients. It really only took about 15 minutes from start to finish to make this soap. In fact, it took longer to write this blog about it! 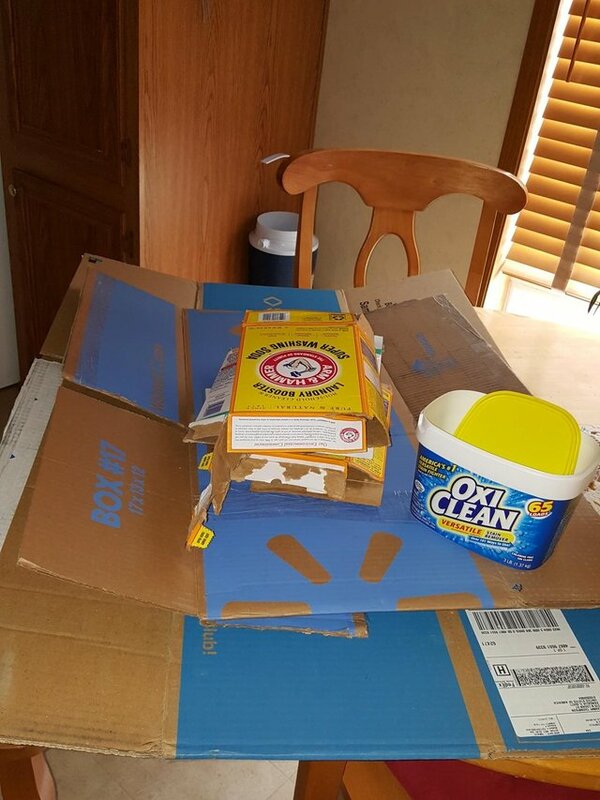 And since I ordered these products online and had them delivered, I had a nice batch of cardboard, including the soap boxes, to break down and take to the local recycling center! The nice plastic OxiClean container I washed and now it holds crayons and markers for the grandkids. Great idea! I'm using natural soap that is cruelty free as well but you're right, it does cost a fortune so making your own sounds like the right thing to do. Have you tried it already? How does it work with stains? Thank you for sharing your idea! Have a lovely weekend! Congratulations! This post has been upvoted from the communal account, @minnowsupport, by blueeyes8960 from the Minnow Support Project. It's a witness project run by aggroed, ausbitbank, teamsteem, someguy123, neoxian, followbtcnews, and netuoso. The goal is to help Steemit grow by supporting Minnows. Please find us at the Peace, Abundance, and Liberty Network (PALnet) Discord Channel. It's a completely public and open space to all members of the Steemit community who voluntarily choose to be there.